A whole-house generator offers your family an insurance policy against long-term power outages. Even if you don’t experience a major loss of power during a year, the peace of mind that a generator provides during this time is invaluable. But you won’t have the benefit of peace of mind unless you know that the generator is ready to come on at the first moment it’s needed. A generator that slowly falls apart, wears down, or has a stale fuel supply is no better than not having a generator at all. To make sure that your generator will do its job whenever necessary, schedule regular maintenance for it from a trustworthy and experienced contractor. Electrical Connection, Inc. can take care of all the needs for your generator in Cromwell, CT. Call us for installation of a Generac Standby Home Generator System, and then enroll in one of our Preventive Maintenance Programs to keep it working. Often Should I Schedule Generator Maintenance? There are two times during the year when you should consider generator maintenance. Whether you need to have the maintenance done both times or only once depends on a number of conditions. The first time when it’s a good idea to maintain a generator is right before the arrival of the cold and stormy season. This is when you are most likely to experience a long power outage and need the generator working at its best. When you schedule maintenance for your heating system to prepare f6or winter, also should schedule it for your generator. The second time to have a generator maintained is in the wake of a power loss when the generator needed to work. A technician will inspect the system to see that it did not sustain any damage or wear and tear due to needing to operate for a long stretch. If you experience a mild winter season without any power outages, you will probably only need to have maintenance done once a year, during the fall. However, if your generator is putting in time working to keep you and your family safe, you should have maintenance done more often. During a maintenance check, the inspectors will survey the system to see that it is properly hooked up to the home, clean it, and see if it needs new fuel (if it uses stored heating oil). After a maintenance visit, you will have the assurance of a generator ready for the next time that power goes out. 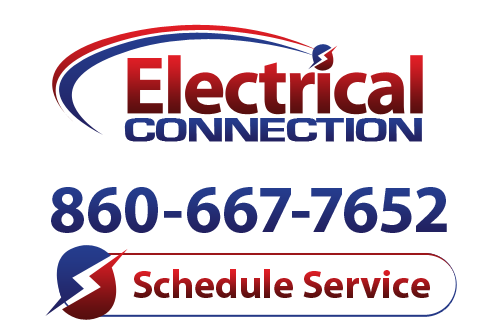 Call Electrical Connection, Inc. to ask about our Annual and Semi-Annual Preventive Maintenance Programs, each of which includes a 30-point inspection checklist. With our help, your generator in Cromwell, CT will be prepared for any power loss.